Soaring oil and natural gas production cemented America’s position as a global energy leader. 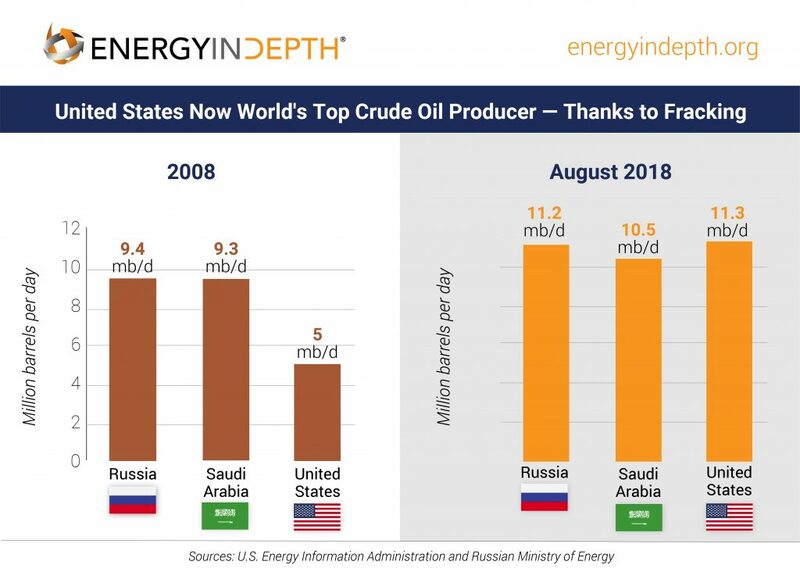 In August, U.S. crude oil production exceeded 11 million barrels per day (b/d) for the first time, more than doubling 2008 production and surpassing Russia as the world’s largest crude oil producer, according to Energy Information Administration data. The International Energy Agency further projects the United States will continue to dominate global growth in oil and natural gas through 2025. The United States is exporting more oil and natural gas than ever before. During the week of Nov. 30, the U.S. broke yet another record – this time for exports. The U.S. became a net exporter of petroleum liquids for the first time in 75 years, exporting more crude oil and other oil-derived liquids than it imported from other countries. The EIA predicts that U.S. crude oil production will average 10.9 million b/d in 2018 and 12.1 million b/d in 2019, a projected increase of over 28% from 2017. Even more impressive, the EIA believes the U.S. will become a net energy exporter by 2022. Natural gas is also fueling that push. After securing the title of net natural gas exporter for the first time in 60 years in 2017, the U.S. more than doubled its daily exports in the first half of 2018, averaging 0.87 Bcf/d. Between January and September, the United States exported over 762 million cubic feet of natural gas, up 64% from the same time period in 2017. These exports provide jobs for hard-working Americans. Using EIA projections, one study found that roughly 50,000 to 100,000 jobs will be supported by LNG exporters through 2050. 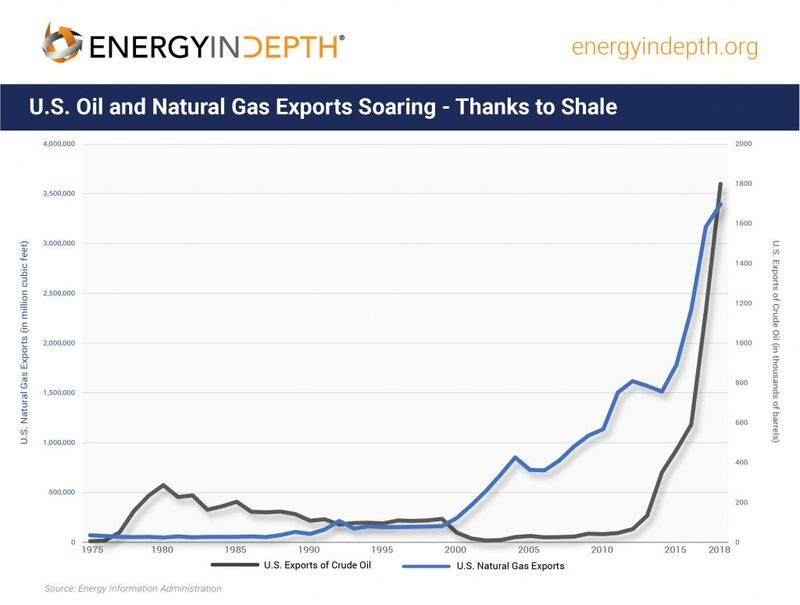 If our thriving production and exports weren’t enough, U.S. proved oil and natural gas reserves also hit an “all-time high,” thanks to the continued development and exploration of shale formations nationwide, according to newly released data from the EIA. Technological advances have increased the ability to access and explore previously unrecoverable shale reserves, doubling reserve levels from a decade ago. EIA’s 2018 report noted that the United States beat its 1970 record of 39 billion barrels of proved crude oil in 2017. 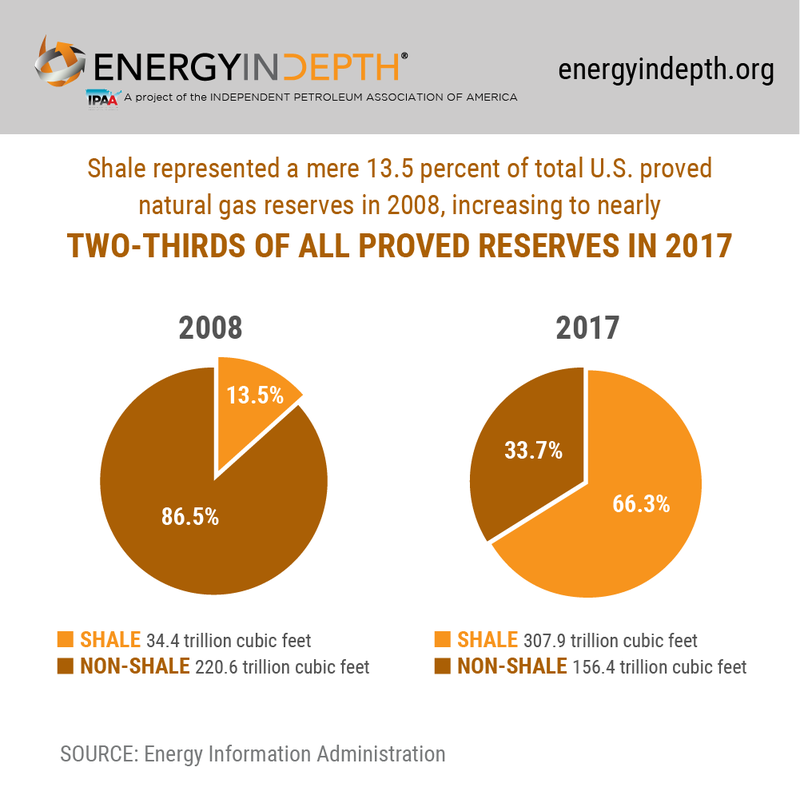 In addition, the U.S. proved natural gas reserves grew 19 percent from 2014 to 2017, when the previous record of 388.8 trillion cubic feet was set. The future of U.S. reserves looks especially bright thanks to a new discovery in the Permian Basin. In December, the U.S. Geological Survey revealed the largest pool of oil and gas reserves ever assessed lies in the Wolfcamp Shale and Bone Spring Formations in the Permian Basin. Together, they contain 46.3 billion barrels of oil, 281 trillion cubic feet of natural gas, and 20 billion barrels of natural gas liquids. Global petroleum industry leaders look to the United States for oil and natural gas investment. 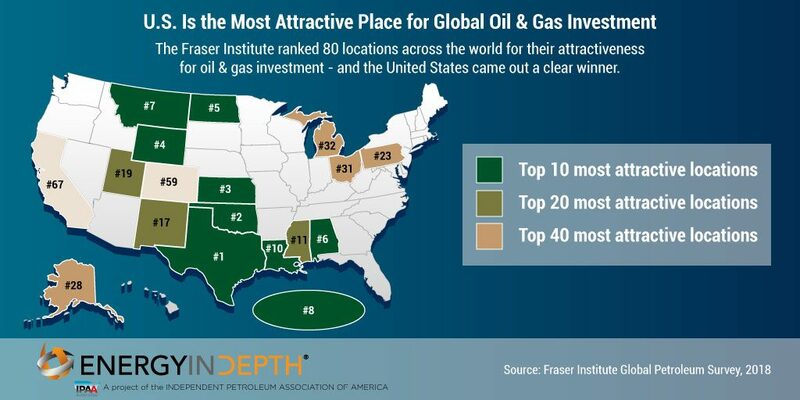 Unsurprisingly, the United States remains the world’s most attractive region for oil and gas investment, according to the Fraser Institute’s 2018 survey of senior global petroleum industry leaders. In fact, the country is now home to nine of the top 10 jurisdictions for investment – led by Texas, Oklahoma, Kansas, Wyoming, and North Dakota – and across the board, U.S. jurisdictions improved their ranking in this year’s results. 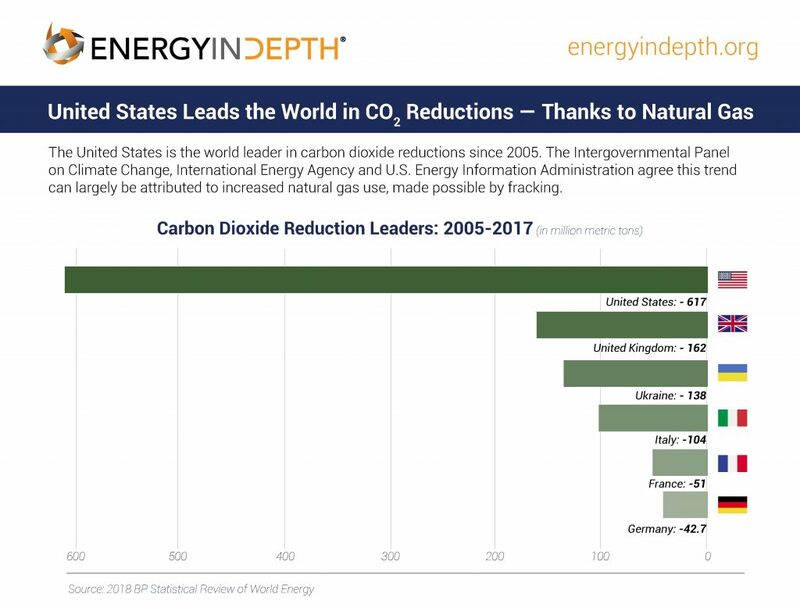 The U.S. leads the world in carbon emissions reductions. 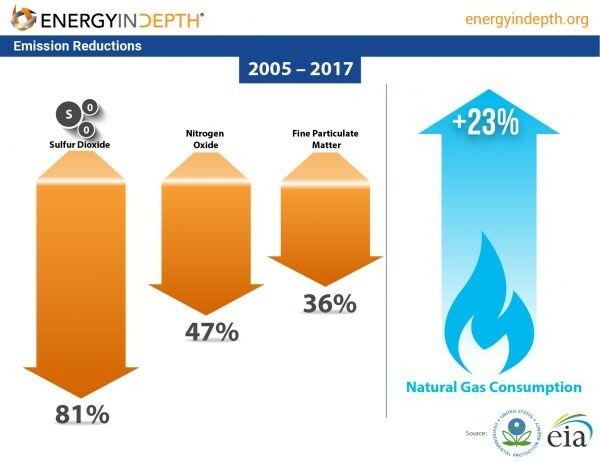 As U.S. energy production soared, the United States maintained its commitment to lowering emissions and protecting the environment. In fact, the country has led the world in carbon emissions reductions from 2005 to 2017, according to BP’s 2018 Statistical Review of World Energy. The U.S. Environmental Protection Agency found that air pollution declined 73 percent from 1970 to 2017, while America’s gross domestic product rose 262 percent. U.S. greenhouse gas emissions declined 2.6 percent in 2017 alone and by 12 percent since 2011. The EIA released complementary data this year, revealing that C02 emissions are at their lowest levels per capita since 1950! 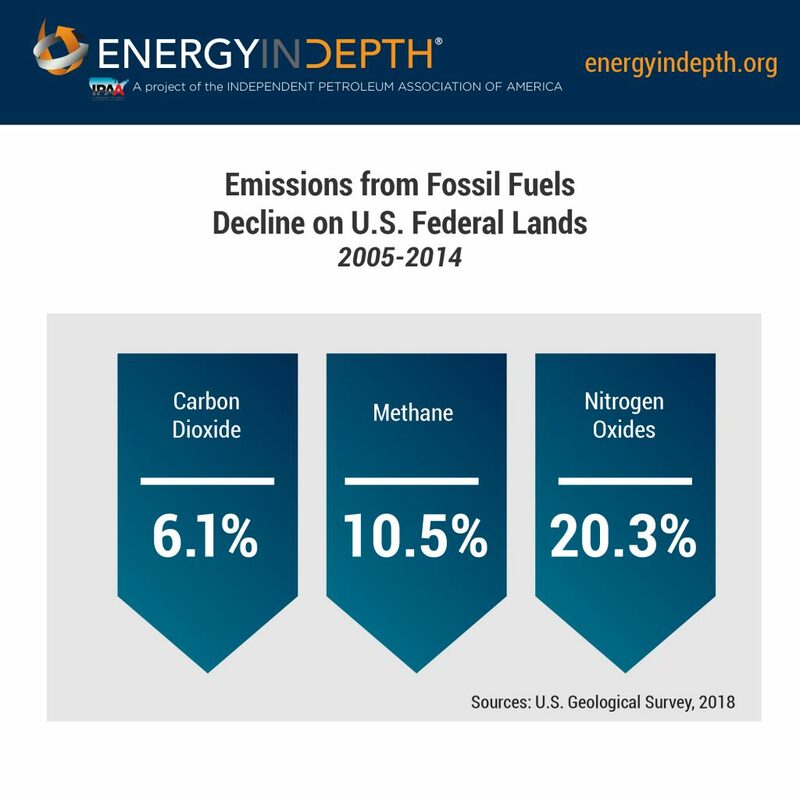 Similarly, the U.S. Geological Survey just completed its 18-month analysis of greenhouse gas emissions associated with the development and use of fossil fuels on federal lands. The agency studied carbon dioxide (CO2), methane, (CH4) and nitrogen oxides (N2O), and found that, “compared to 2005, the 2014 totals represent decreases in emissions for all three greenhouse gases.” These decreases coincided with a 62-percent increase in onshore oil production on federal lands between 2009 and 2014, according to DOI data. This record-breaking year for oil and natural gas has given us much to be thankful for: our environment is cleaner, our economy is improving, electricity costs are at record lows, consumers are saving billions of dollars on natural gas, and 2018 affirms that the United States will continue to be a world-leader in oil and natural gas. From all of us at Energy in Depth, we wish you Happy Holidays and a wonderful New Year!